Ivory & Pearls is a specialized safari and wedding planner for Kenya, and other African countries. It all started in 1994 with a holiday to Kenya which changed my life for ever. Impressed by the beauty of the country, the friendly people, the breathtaking amazing nature and wildlife Kenya became my second home land. In 1996 I lived in Kenya for some time and returned to the Netherlands where I started an travel agency for Kenya holidays. Many trips to Kenya followed to update my knowledge about tourism but also to start a project for street children. During my stay in Kenya I was confronted with the poor environment street children were living in and felt a strong desire to help some of them. In 2002 I founded the Lioness Cubs Orphanage which turned into an orphanage for aids orphans. Working with streetchildren turned out to be to hard without specialized aknowledge and skils. Aids orphans and children without family to care about them were brought in to the home. 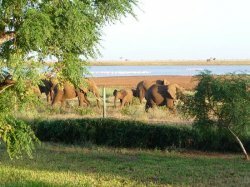 Ivory & Pearls is offering flexible services for taillor made safaris and beach holidays. 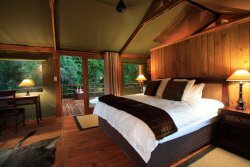 Standard safaris can be booked within small groups either in luxury or budget accommodations. 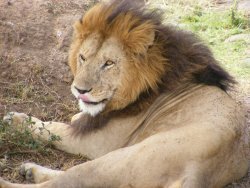 For private safaris we have many options to taillor made your travelplans according your budget and request. 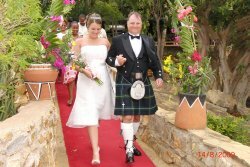 We are not only experts in organising safaris but also weddings. Ivory and Pearls is the perfect agency for your wedding and safari. Plan it all with one agency and you will benefit great discounts, personal services, special attention for personal details. We can offer you everything in a package, flight, accommodation, the wedding package and safari! If you want to get married in African style it is all possible your tailor made dress wil be ready in just a couple of days! Book your lodge & budget camping & private & groups & balloon safari with us and experience our hospitality and excellent services from the pick up till the drop off! Our head office is in the Netherlands and we have a branch in Nairobi. We have employed staff members and work with experienced drivers and cooks who know English very well and have excellent aknowledge about wildlife. It is the the love and passion which keeps us moving. We work with a heart for you and the orphans in Kenya! For more information, please visit www.ivoryandpearls.com.